In any Florida criminal case, the defendant has the right to cross-examine accusers. Those arrested for DUI typically have the right to cross-examine the arresting officer. Most often, this is the law enforcement officer who initiated the traffic stop, was the primary gatherer of evidence against you and effectuated the arrest. 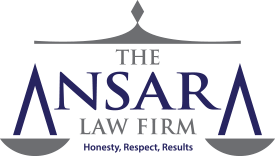 As Fort Lauderdale DUI defense attorneys at The Ansara Law Firm can explain, it is often crucial to the prosecutor’s case to have that officer testify. It’s not enough to rely on police reports because (as we’ll explain), those reports generally can’t stand on their own in a court-of-law. Police officers are what we consider “professional witnesses.” Although they may be testifying to facts and personal observations pertinent to the case, they are also considered an “expert” on certain matters. The have probably testified in hundreds of DUI cases just like yours. This is not a witness who is going to be easily shaken or nervous. Judges and jurors tend to give great weight to the testimony of a police officer, deputy or state highway patrol officer. These individuals are often well-trained, well-spoken and highly effective in convincing the court of their impartiality. However, it’s important to note that police agencies do have an interest in securing convictions, which can be used in future public funding efforts. Prosecutors rely heavily on the testimony of police officers in Fort Lauderdale DUI cases. Calibration and results of breathalyzer. All of this may be necessary to prove a case – and much of it may be subjective. Police officers are not scientists or doctors, yet they are called upon to testify in a way that requires them to interpret evidence within those respective fields. The second reason prosecutors rely on actual testimony from the officer, rather than simply relying on police reports, is that these records, although written by the officer, are generally inadmissible as evidence because they are considered hearsay. As noted in F.S. 90.801 , “hearsay” is a statement (i.e., oral or written assertion/ nonverbal conduct of a person if intended as assertion) that is made out-of-court that is offered as evidence to prove the truth of a certain matter. In most cases, hearsay can’t be admitted as evidence in a trial because it’s believed to be unreliable, though courts will sometimes make exceptions. The arrest report could be introduced as evidence for the sole purpose of helping the officer jog the memory of what occurred on the date in question. However, your defense lawyer will want to look closely at the information contained therein to ascertain whether certain parts of the report should be redacted before it’s entered into evidence to shield against undue prejudice. If an officer is unable to testify in your DUI case, prosecutors will face an uphill battle in obtaining a conviction. That’s a rare occurrence, though. More likely is your defense attorney will work to discredit or cause doubt about the officer’s legal process and accuracy. Inconsistencies in the officer’s statements, errors in evidence collection and other factors can discredit or cast doubt on an officer’s testimony. Video recordings of the stop – either from a dash cam or body cam – may be invaluable in undercutting the officer’s account of what happened before, during and after arrest. The effect of an officer’s testimony in your DUI case can be a profound one, which is why it is critical that you work with an attorney who has ample trial experience. Experience and age. It’s been proven that younger officers and those with less seniority tend to make more DUI arrests than older officers with more experience. Personal alcohol use. An officer who personally imbibes tends to make fewer DUI arrests than those who do not. Lack of knowledge regarding the impact of alcohol on one’s level of intoxication. Many officers far underestimate how much alcohol one would need to drink to reach the statutory blood-alcohol concentration of 0.08. Duty assignment specialization. When a patrol officer is specifically assigned to target a certain traffic offense, like DUI, they tend to make more arrests for that particular offense. Suspect’s attitude. This is why our DUI defense lawyers always encourage politeness at the scene of a stop. The officer is not your friend and you aren’t compelled to tell the officer anything beyond your identity and address. However, suspects who are rude or uncooperative risk stiffer charges. There are other factors too, but just knowing these basics of how officers initiate arrests offers our DUI defense attorneys in Fort Lauderdale a good idea of the kinds of things we will closely examine prior to trial and may color the questions we’ll ask once they are on the stand.